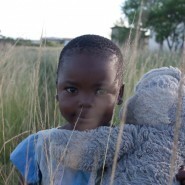 When I started a project in 2003 to support programs for women and children in areas of South Africa impacted by HIV, I named it Thembanathi, meaning ‘Hope with Us’ in isiZulu, because of my strong belief in supporting communities that are trying to solve their own problems and address their own needs. This past summer, while finishing my field research for my PhD, I lived with a local family in the Umkhanyakude district of KwaZulu-Natal. 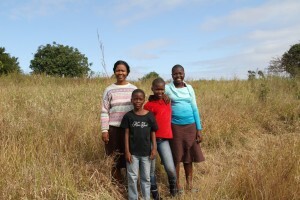 The site is approximately one hour north of childcare facilities Thembanathi has been supporting for the past seven years. The area, part of the former homeland of KwaZulu, is one of the poorest in South Africa and has one of the highest reported HIV rates in the world (adult HIV prevalence is about 25 percent, with rates peaking at 59 percent for women age 25 to 29). While living in this community, I discovered that a group of community leaders had been working for some time to try to find a solution for the community’s desperate need to provide care for young children. Though they were motivated to give their time and energy to strengthen programs for children in their community, they lacked the resources and networks necessary to get such an initiative going. Inspired by their dedication, we decided to try to help them make their dreams a reality. Particularly in areas like this one that not only have been hit so hard by the HIV epidemic but also struggle with the long-term affects of apartheid, poverty, and unemployment, childcare programs are an important means of supporting children and families. The programs help to offset the effects of disease and poverty by providing educational and emotional support and food for young children. The facilities help relieve the burden of care of young children on families, allowing older siblings to return to school and caregivers to seek work. Additionally, childcare centers can serve as community centers around which other services, such as home-based care, educational programs for older children, and income-generation projects, can be organized. We are excited to work on this project because we believe that solutions to the problems these families face need to be structural and must start with young children, giving them skills for a better life. Consistent with our belief that community ownership and involvement is essential for the success and sustainability of the project, a dedicated local woman, a former teacher and active school board member, has been selected to be the director of the program. She is inspired to dedicate her life to this project, she told me, because she wants to give back to the community to thank them for the many ways they supported her and her children after the death of her husband. In addition, a community advisory committee has been elected. Its first project will be to establish a community garden that will provide healthy food for the children at the center. At Thembanathi, our goal is to help this community to build a new childcare facility, provide equipment and materials, and fund operational costs for at least the first two years. This support will help the project get on its feet. Over time, we will help the center become more financially independent. You can help us help this community by supporting this project through direction donations, by hosting a South African jewelry and craft sale, and by spreading the word. You can also support this project at Global Giving. Please visit our project page on the Global Giving website.